Electronic Assembly GmbH (Display Visions) is a German manufacturer of top quality industrial displays and LCD technology since 1977. In addition to manufacturing over 2,000 styles of LCD modules, Display Visions also makes interface modules for dot-matrix and graphic displays. Product development is overseen by a team of highly specialized engineers, ensuring high quality from beginning to end. This process includes everything from designing special inspection and test equipment, to PCB layouts and small plastic parts. They set themselves apart from other LCD manufacturers though an unmatched commitment to quality. From their in-house production to the development of their displays, Display Visions oversees the entire manufacturing process to arrive at a long-lasting, quality product; the long-term availability of their products easily reaches 15 years. The company motto for Display Visions is “Making Things Easy”—a message which is reflected on their easy-to-use products. In fact, many Display Vision industrial displays are ready to use—immediately after unboxing. If your application or project includes unusual or unique specs, customization and changes are possible through IBS Electronics. Our team can work on your behalf with Display Visions, in order to arrive at a custom solution that fits your project. With our offices in Asia, Europe, and the Americas, we can ship the products to you anywhere in the world. These displays maintain full contrast and an extremely fast response time of 10µs, down to -40¼C. 7" TFT screen w/ 800x480 dots & white LED backlight, available w/ touch panel, & also starter kit/eval board. TFT screen w/ 320x240 dots & white LED backlight, touch panel, starter kit/demo board, & mounting bezel. Fully functional right out of the box with built-in fonts and features. 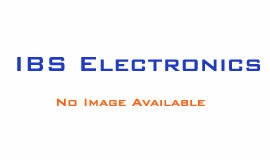 Features industry-leading integrated intelligence controlled by RS-232, SPI, or I²C interfaces. Industry's first displays that run on 3.3V systems without auxiliary power. The product portfolio extends from simple seven-segment instrumentation displays to sophisticated color touch panel displays for use at information booths or in complex system controllers. Electronic Assembly also has products designed for extremely low power consumption, extended temperature range versions for harsh environments and solutions for special markets and applications such as Cyrillic fonts. The company philosophy at Electronic Assembly is based on a simple vision. The senior management team of Stefan Eber and Carola Wittmann along with the entire staff is fully focused on making things easy. This vision is reflected in the design of the company's products. The displays have a built-in controller which makes things a lot easier for the customer's design engineering team. High-level language functions eliminate the need for system-level programming by the customer. The display controllers are shipped with an extensive set of sophisticated, pre-packaged graphic functions such as animation and bar charts. Developers can access these features with simple function calls. There is no need to write and test assembler programs for these functions. Many of the displays run right out of the box. The customer can get products to market much quicker and at lower cost. Electronic Assembly has its own engineering development group and helps shape the technological landscape. In-house production, which is not necessarily the norm in today's market environment, puts the company in full control of quality and gives it that little bit of extra flexibility which from the customer perspective often makes the crucial difference. The success of Electronic Assembly is reflected in the construction of new facilities in Gilching which have been the company's new home since 2009.